This week’s walk wasn’t really to see a wizard, but that song leapt to mind nonetheless since I followed a road (not one of yellow brick, mind you, but a gravel road) that started in Redwood City and led up to, not the Emerald City, but Emerald Lake Hills. 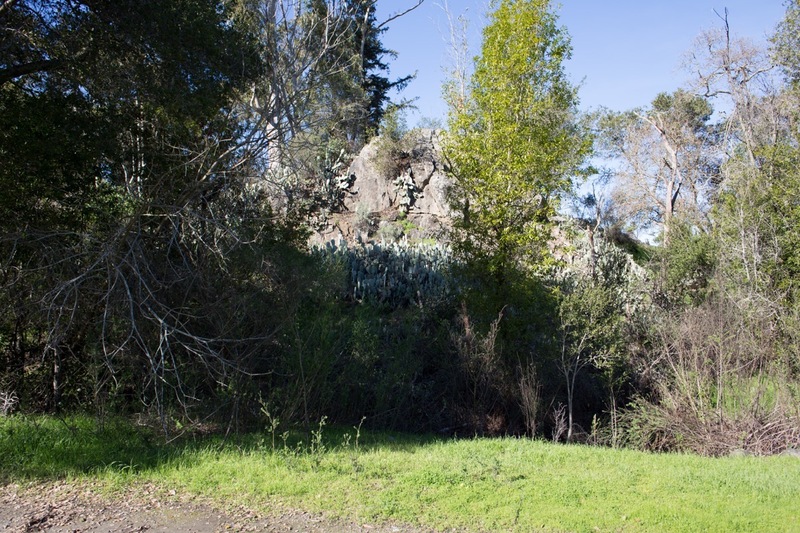 Although if I’m to be completely honest, I must admit that I followed it backward: I started up at Lower Emerald Lake and followed a trail that lead to a road that came out on Glenwood Avenue, right next to Redwood City’s Garrett Park. I went that way for a couple of reasons, not the least of which is because it is a bit easier — as you’ll see. First off, the last couple of weeks I’ve had to plan my walks carefully, working around the rainy weather we’ve been experiencing of late. But this week was nothing like the last several: the lovely springtime weather was a delight to be out in, and I was able to take walks pretty much any day, and any time of day, that I liked. While I do hope that our rainy season continues for a while longer, to truly ensure that our snowpack is going to be there next summer when we need it most, I must admit to a bit of selfish delight at being able to get outside and enjoy the sun. The project would include a turnaround for emergency vehicles and a single-span bridge that would cross the unnamed tributary that traverses the project site. The extension of Canyon Lane would provide routine and emergency access to 12 currently undeveloped privately owned parcels. This project is being done to improve accessibility (and thus improve the marketability) of those 12 currently undeveloped parcels. 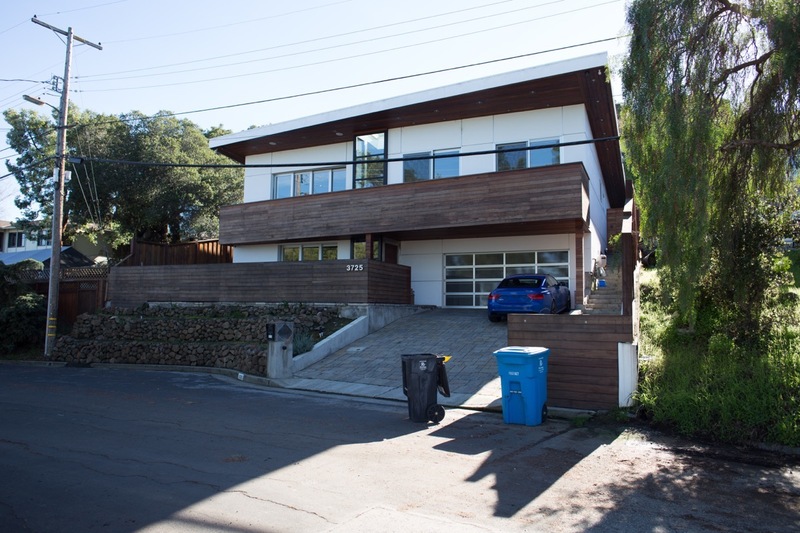 In fact, the project would also “include the development of one single-family residence on two previously merged parcels.” Indeed, the development of this one house is likely what triggered the project in the first place. If you’ve never been up or down this road, it doesn’t look like much. The road is gated (although the gate seems to be tied open now) and doesn’t appear particularly inviting. There is at least one developed parcel along the road, however, so it must be getting regular use. But it makes for a nice walk, one that leads from the mostly open spaces alongside Garrett Park to a narrow canyon that is thick with trees. Following most of the road is a pretty little creek that goes beyond the small turnaround that currently marks the end of the road. 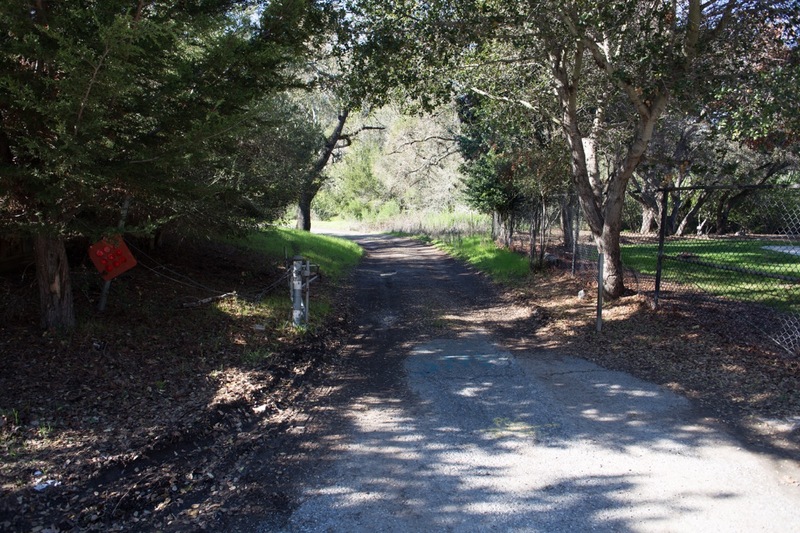 There is a nice little path that continues to follow the creek beyond the turnaround: the path continues all the way to the earthen dam that contains Lower Emerald Lake, at the intersection of Oak Knoll Drive and Lake Boulevard. 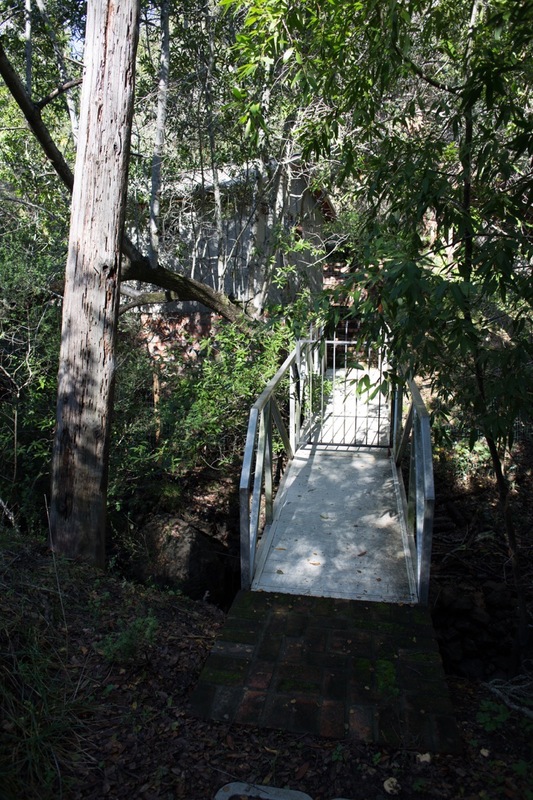 This is where the walk becomes difficult: you then either have to turn around and retrace your steps, or you have to climb that earthen dam up to Oak Knoll Drive. 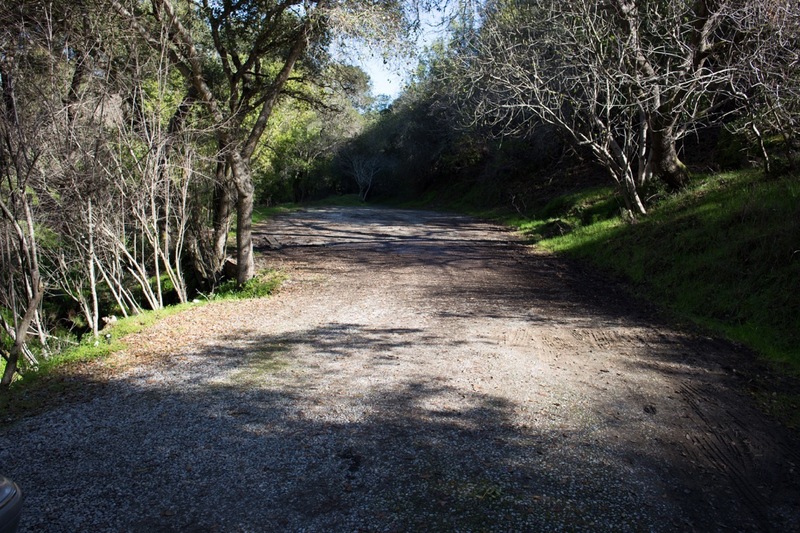 I find it much easier to make the walk in the reverse direction: walking down the earthen dam isn’t too hard, especially if you start over near where Oak Knoll Drive meets Vista Drive (on the southern end of the dam). Then you can follow the rather clear trail, which leads you to the road which leads you to Garrett Park and Glenwood Avenue. That is the route I took. I found this hill too steep to even walk down. 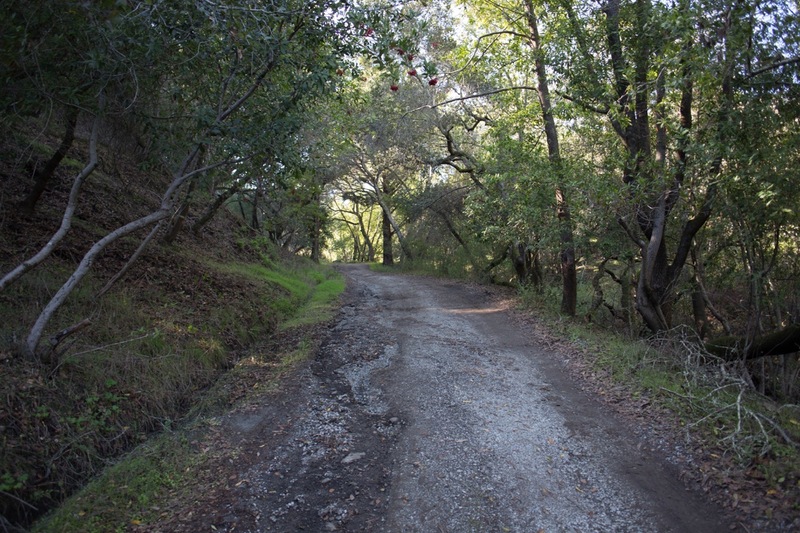 I had to head back to Oak Knoll Drive, where the slope is gentler and easier to navigate. Set amidst this beautiful, otherwise natural, setting is a single manhole cover and a small sign indicating that we are in the county. The manhole cover presumably provides access to either a storm drain or a sewer line. By turning left from where I took the above picture, I was able to see where the creek begins: a concrete pipe that presumably takes overflow water from Lower Emerald Lake and pours it into the valley in which I was standing. From here the creek follows the trail, and then the graveled Canyon Lane, to Garret Park. This creek runs, partly exposed to the sky and partly underground, all the way to Red Morton Park, where it hooks up with Arroyo Ojo de Agua and eventually flows to the bay. I should note that the county map shows Canyon Lane ending at a turnaround very close to where I was standing. There is of course no evidence of the road at this point, although the trail was clearly visible to me. As you can see, the road here is fairly wide and flat, and is quite easily navigable. As you can probably also tell, the creek lies alongside the road, on the left. So that’s it for Canyon Lane. Not quite a trip to (or, in my case, from) the Emerald City, but an enchanting journey nonetheless. I of course didn’t end my walk there. While I was in the area I wanted to check in on Laurel Way, which runs along the hills high above the properties at the end of Glenwood Avenue. To get there I could have walked down Glenwood Avenue to Canyon Road, and then up Highland Avenue to Laurel Way. 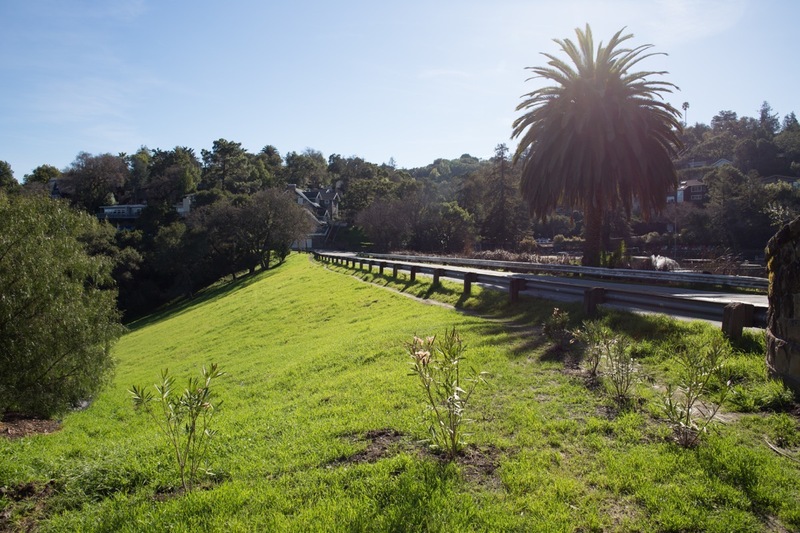 But I know a shortcut: across from Garrett Park there is a steep and narrow stairway that runs up the Hetch Hetchy right-of-way (the Hetch Hetchy water pipe runs underground across Glenwood Avenue and right alongside Garrett Park). 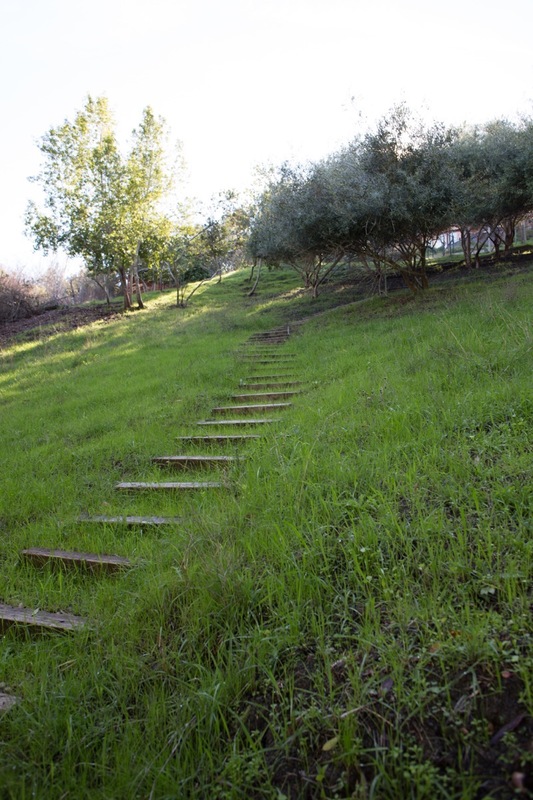 Take this stairway, as I did, and you’ll find yourself on Highland Avenue, not too far from Laurel Way. The lovely downhill slopes along Laurel Way (and some of the uphill ones) are privately owned; some of the owners are hoping to develop their parcels. The parcels are very steep, though, and the owners are running into problems with the city in getting their plans approved. Thus, my interest in the area. I should note that only a portion of Laurel Way is paved; it turns into a gravel road that leads to a single house (I believe) at the very end. My initial guess is that our recent heavy winds blew our strong rains right into this window, and the water worked its way into the house. Or perhaps a fallen tree branch blew against the window and broke it? Either way, this isn’t what the owner of a brand-new house wants to experience. Hopefully they’ll get this fixed without too much trouble. That’s it for this week. I hope you enjoyed my walk up into and through our nearby Emerald Lake Hills. I’m constantly amazed that I can step out my door and in short order find myself in beautiful, magical places like the trail that extends from the bottom of the Lower Emerald Lake dam to Canyon Lane. I may not have found a wizard, but being able to quickly enfold yourself with nature is a special treat that not all cities can provide. Fortunately for us, Redwood City can. 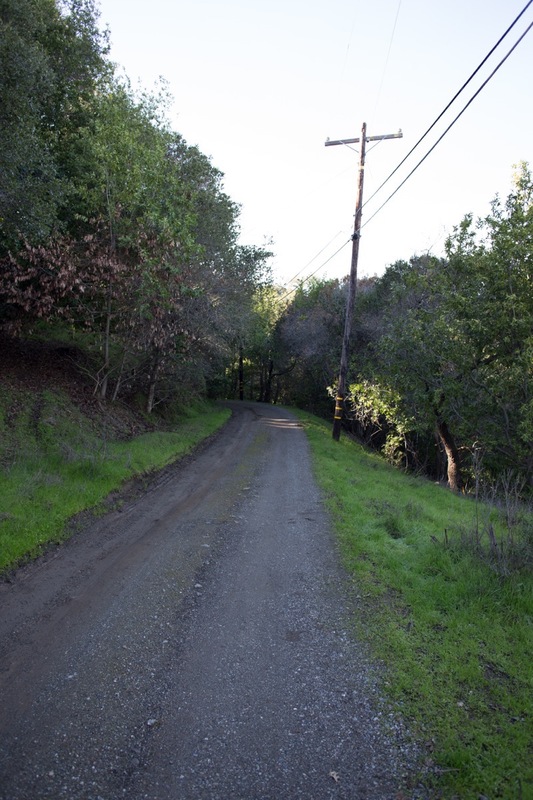 I live in Emerald Hills and I would be in favor of a path along Oak Knoll (not strictly a sidewalk). I would be willing to help pay for it. I would go along with Matt Self’s suggestion of a designed pathway on that portion of Oak Knoll as opposed to a sidewalk, but County Public Works, at least in the past, has been very rigid about favoring sidewalks over paths. Then there is the issue of who pays for it. 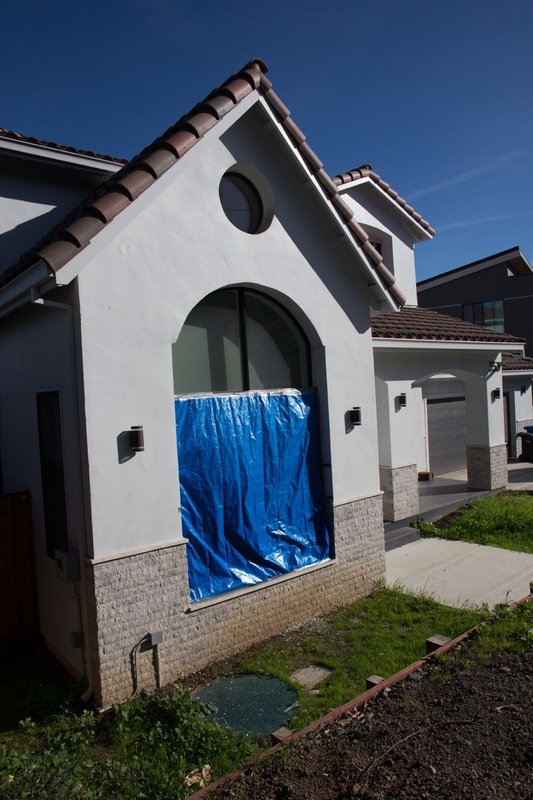 Again, while County Public Works could easily pay for this project, they have always been adamant about forcing the property owners to foot the bill. 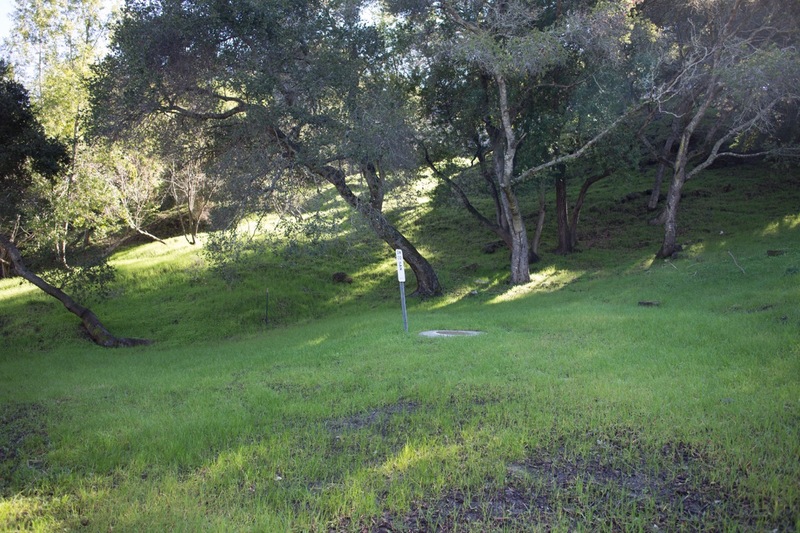 To make something like this happen, you would need to convince Supervisor Don Horsley(whose district Emerald Hills is in) and Supervisor Warren Slocum(whose district RWC is in) to sit down with the County Manager and Public Works director and request the county pay for it. 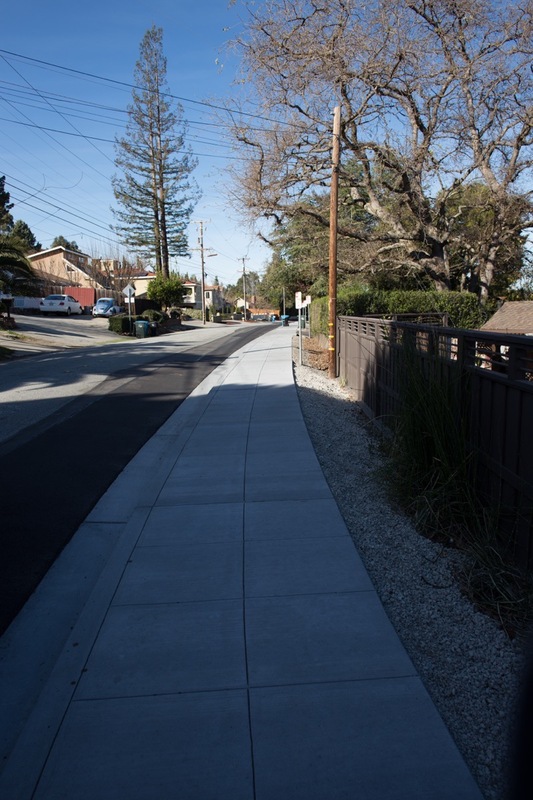 The problem is that there are a lot of county areas who have much more pressing and deserving infrastructure needs than this pathway-sidewalk in Emerald Hills. We are all fortunate to be able to live in this unique neighborhood. I used to commute home to Emerald Hills by riding my bike up Canyon Lane and then pushing it up the back side of the dam (with permission of the then property owner). The dirt road and the path along the steam are so lovely! You feel like you’re in a different world. I would really like to see Canyon Lane be open to the public (not a private, gated road) and for there to be a set os steps up the back side of the dam. This would provide a valuable pedestrian connection into Emerald Hills. The only other alternative is walking up Oak Knoll, which has no sidewalks and lots of car traffic. The county tried to put sidewalks in Emerald Hills in 1991 and the idea was overwhelmingly rejected by residents at the time. Once the county decides to put in sidewalks they must(by their own rules) make sure the street is widened to 22 feet and straightened out if at all possible. All this widening, straightening, and sidewalks come at the expense of property owners’ right of way. The Emerald Lake Homeowners did an extensive study of what that would entail. 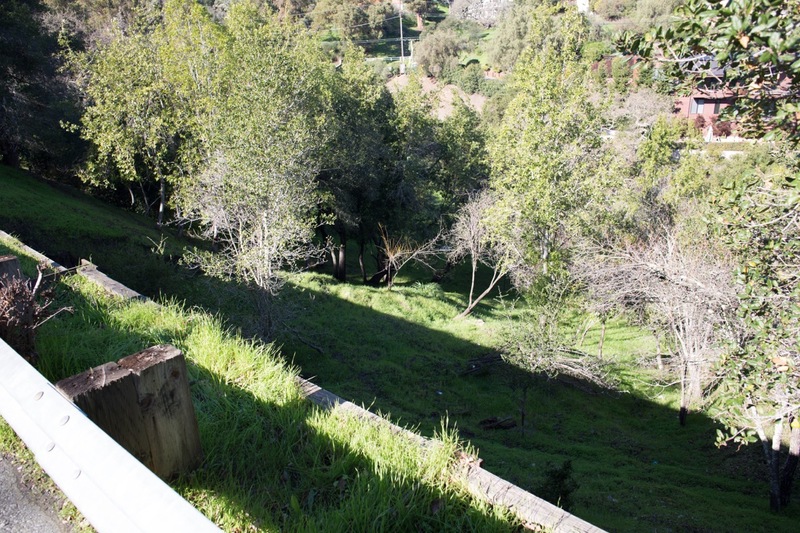 Hundreds of trees would have been removed, streets like Oak Knoll would have to have concrete retaining walls at some spots, virtually every lot would have to be dealt with individually as Emerald Lake Hills is not a standard subdivision, but an area that developed organically over 80 years in a stop and start manner, during which the county paid no attention to development issues. The County claimed these wider, straighter streets would make the area more “accessible” for cars, meaning more and faster traffic. Finally, and this was decisive, the county said that residents would be stuck with paying for these “improvements”. To their credit, once they learned the facts, the then Board of Supervisors refused to even consider the proposals. I greatly respect and admire the work you put in on RWC development issues, but Emerald Hills is not RWC. 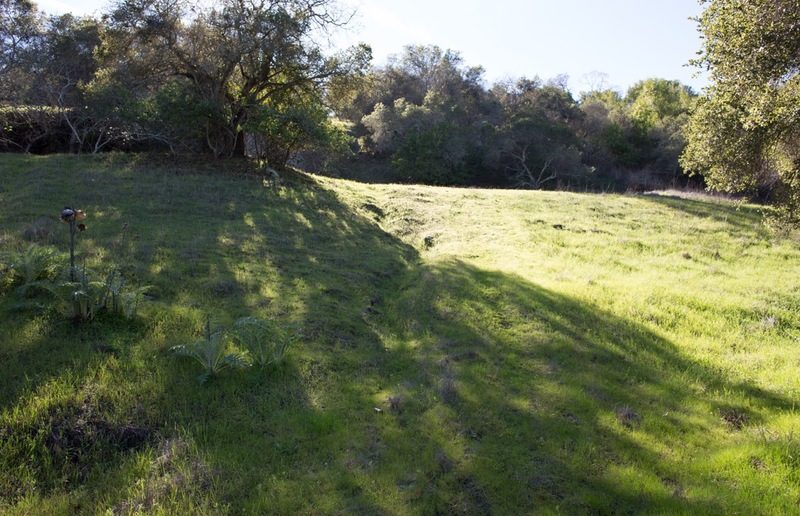 I would also suggest you check out Edgewood Park, a nature preserve, if you want to enjoy another feature of Emerald Hills. The homeowners association was instrumental in creating this jewel in 1993. Enjoy. It is indeed ironic that Edgewood Park is in RWC. In the early 1990s there was a major battle over what to do with the area that is now the park. One group wanted to turn it into a public golf course and another group wanted it turned into a Park. Most of the RWC political leadership wanted a public golf course. In the 1992 county supervisorial elections Bill Stangel, a RWC councilman and local businessman, ran for the one open seat. He supported the golf course idea. Opposing him was a young activist from North Fair Oaks, Ruben Barrales, who favored a park. All of the RWC council, with the exception of Jack Greenalch, endorsed Stangel. Barrales ran a strong campaign and won in a stunning upset by less than a thousand votes. The Emerald Lake Hills area overwhelmingly voted for Barrales (75% and a 1000 vote margin). 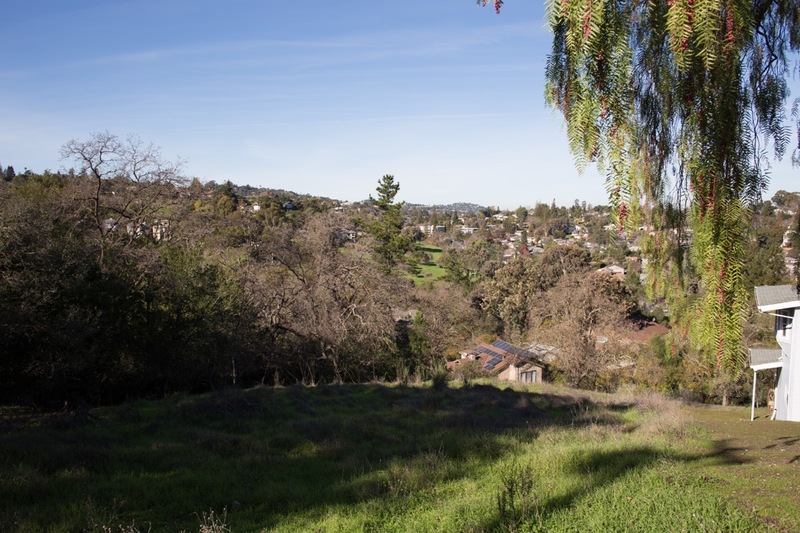 Several months after the election, Barrales introduced a measure turning the area into the Edgewood Park and Nature Preserve and it was quickly passed by the Board of Supervisors. Certainly the many RWC residents who voted for Barrales had a big hand in making the park possible, but the fact is the RWC political leadership at that time showed they were much more concerned about bringing in tax revenue than in quality of life issues. Sound familiar?